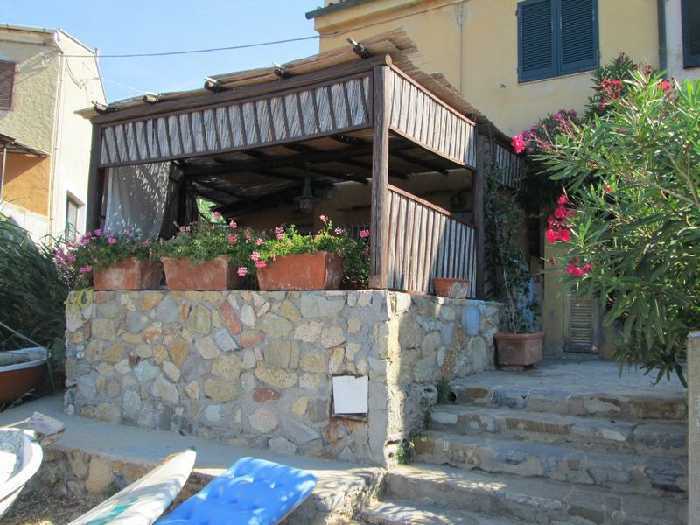 115 - Portoferraio, Biodola - In a great location, a few steps from the sea, for sale a large independent apartment on the ground floor of a semidetached house. 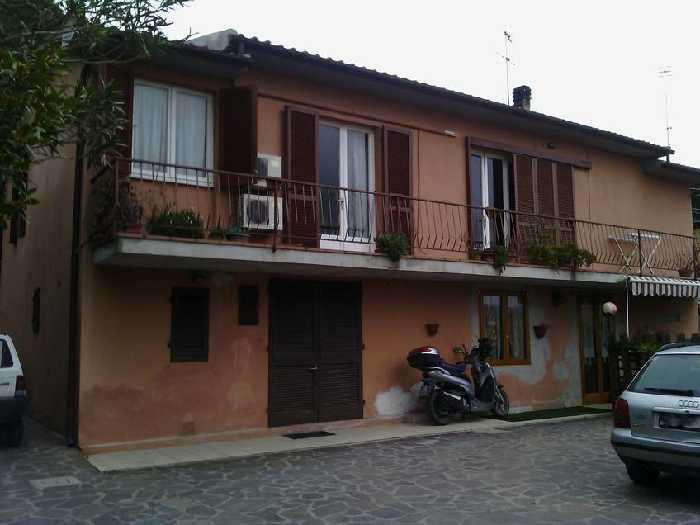 The property is composed by: large living room with fireplace, kitchen, two bedrooms, two bathrooms and terrace-porch overview, it is also equipped with a cistern, private water supply in addition to the connection with the aqueduct. Heating and self-cooling. The property is complete with a large garden and parking. Be considered a good investment based on the possibility of income in the case of summer rentals. Negotiation has reserved character. 181 - Portoferraio, Bagnaia - The apartment, about 500 meters from the beach, is composed of a single light-filled room and bathroom for a total of 32 sqm plus large terrace (30 sqm) with view of the sea and Capraia. At the entrance is the kitchen area, with monobloc disappearance tailor-made, equipped with sink, stainless steel, drainer, electric hob, oven, dishwasher, marble worktop, cupboards and compartments. The living/sleeping area features large built-in wardrobe. The bathroom is complete with all the health crystal shower box and a washing machine. 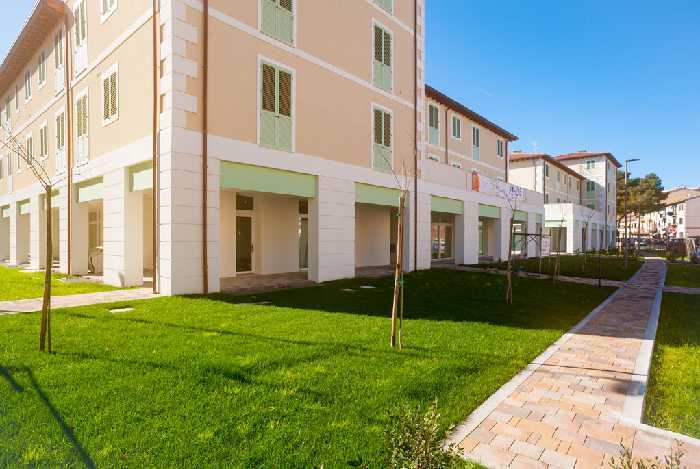 The apartment is equipped with heat pump (air conditioning and heating), windows with double glazing and is fully furnished and also accessible to the handicapped. The large terrace is furnished with table and sun beds, and is fully shaded by an awning and retractable. The privacy in relation to neighbouring properties is ensured by the high hedges of the pitosforo all along the border of the terrace. On the terrace there is also a small storage room with double door to store all the equipment in the summer and the need for the house. The condo offers reserved parking. Negotiation with the agency. 1010 - Portoferraio, Historical Center - Bright apartment of about 140 sqm, independent, located on the second floor of an ancient building (1.800) in the Historic Centre of Portoferraio, is composed of: 6 rooms and 2 bathrooms with attached garden which is accessed via a small private deck. In the garden there are two cellars and the storage of the gas. The property is of great historical value, with vaulted ceilings, and heights of over 4 meters, terracotta tiled floors and granite staircases. The apartment is free on three sides and a roof. The whole perimeter is soffittato and part of it is habitable. The three rooms have a magnificent view of the marina and the Gulf of Portoferraio. 129 - Portoferraio, loc. Oven - Biodola - Located directly on the beach, less than 10 meters from the sea, small independent apartment, about 62 sqm, finely furnished and finished, located on the ground floor, with exclusive panoramic terrace of about 15 sqm, and car parking. Refrain curious and time wasters.